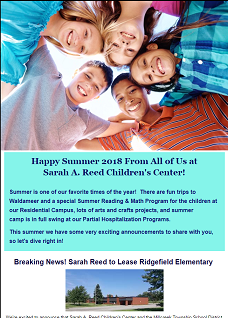 Sarah A. Reed Children’s Center has an e-newsletter featuring event highlights, stories about the children and families we serve, and all the great things happening at our campuses across Erie! Sarah A. Reed Children’s Center is deeply appreciative of the gifts you give. 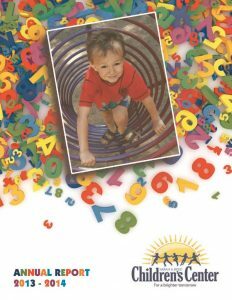 We recognize that without your support, we could not provide vital programs and services to the 1,700 children we serve annually and their families. You entrust a lot to us when you make a donation, and we want you to know that we take all the necessary steps to make sure your gift is stewarded properly and according to your wishes. 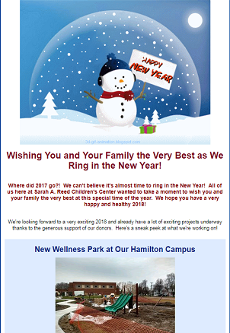 Click here to read our Donor Bill of Rights. 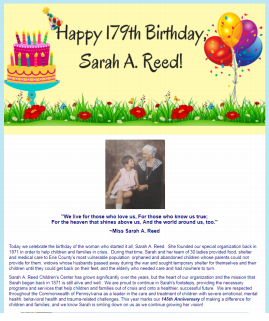 Thank you for considering a gift to Sarah A. Reed Children’s Center.